Jurnee Smollett. 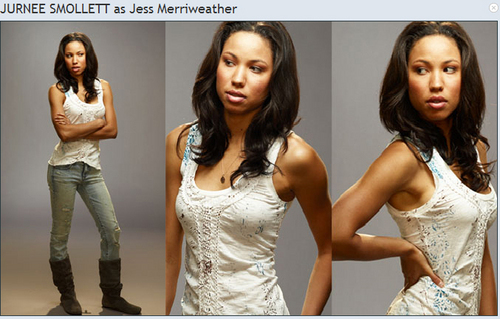 Season 4 promotional gambar of Jurnee Smollett as Jess Merriweather. Wallpaper and background images in the Friday Night Lights club tagged: friday night lights season 4 promo promotional jurnee smollett jess merriweather. This Friday Night Lights photo might contain gaun malam, makan malam gaun, formal, makan malam pakaian, gaun makan malam, formal gaun malam, pengiring pengantin, pengiring kehormatan, and pendamping.